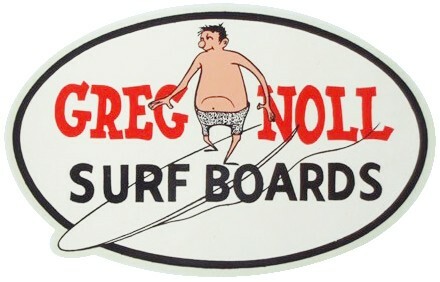 Greg Noll contemplating Pipeline while waiting for a lull at unridden Third Reef. A lifeguard of many years' standing who insist of keeping himself in razor-sharp condition. 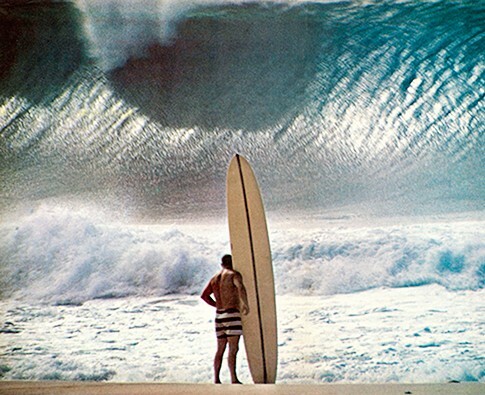 A huge man of height and muscle, who ad mastered the North Shore and was in fact, in the first group to surf Waimea. A man known as The Bull. "I think it's probably some good old fashioned fear, mixed together with the desire to rip 'em up! What ever it is, it's the best sensation I can imagine, I don't believe I'll ever tire of it."